WELCOME TO MY MONEY MISSION ONLINE: TERRIFIC TUESDAY....FREE FISH TACO AND MORE!! TERRIFIC TUESDAY....FREE FISH TACO AND MORE!! 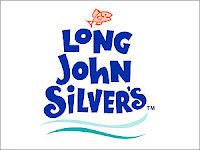 At Long John Silver's on July 14th from open-2:30pm. Details HERE. This is for their BAJA Fish Taco Day: In their words, "Our Famous Fish, Crumblies, and Baja Sauce....Sounds Weird, Tastes Delicious." I don't know about you, but something about it sounds very appealing! Visit Walmart.com for clearance clothing starting at $1. Ship to your home for $.97, or many items are available for free ship-to-store. All sizes: baby, toddler, boys, girls, juniors, men and women! Over at Moms by Heart, she writes, "Our Southern Living At Home consultant has agreed to continue the All You magazine subscription deal for another month! Wa-Hoo! That means if you didn't get in on the bargain, there is still time HERE. Normal subscription rate is over $20 per year, but we are able to get it for $17.95 for TWO YEARS. If you're new to couponing, this is the best magazine to help grow your coupon stash. Many high value coupons you won't find elsewhere. HERE is a list of coupons found in this month's edition. " This is an awesome deal! 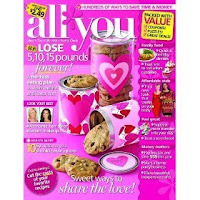 I am always excited to get my All You magazine in the mail, because the coupons are incredible! You, walmart and 7-11 rock!!! Thank you for the very helpful reminders. Oh gees, FREE slurpies??! Does it get any better than that?? Just dropped by to say hi!! These offers sound terrific...I just wish we could get some of the stuff here in UK. That Walmart sale is amazing! !